Wanna tap your feet in tune with your favorite music all the time? In that case grab your very own T Series Play 330, the newly launched handset especially designed for music lovers. This phone has 2-inch (5.08cm) QCIF display and the resolution of the screen is 176 x 220pixels. With its dual sim feature you can use two sim cards in one phone. If you are getting calls in the second sim when you are already on call in the first sim then with the dual standby mode you can receive the other call simultaneously. You will also get applications like FM radio, MMS/SMS, video player with recording option, image viewer, FM recorder and games. 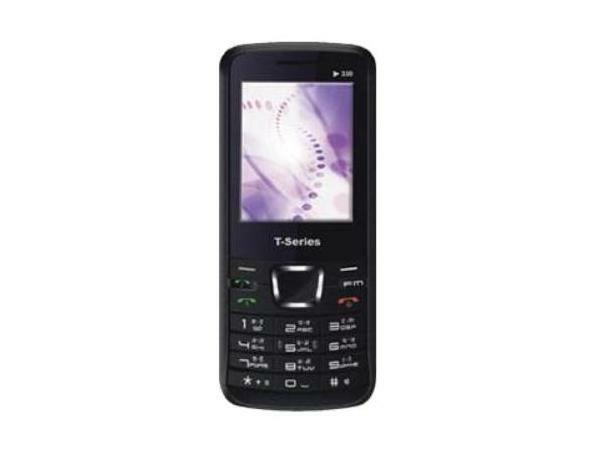 T Series Play 330 is designed in a simple decent looking candy bar shape and it operates on dual band GSM network frequency. Up to 8GB of external memory is offered and you can store up to 1000 phonebook contacts in this phone. This phone also sports a dual LED torch which you can use when there will be no power or in dark light setting. You can take good clarity and quality snaps with its built-in 1.3megapixel camera. Besides you can enjoy and listen to your favorite music endlessly. The best part is the supporting music features are so incredible that it will make you inadvertently tap your feet without ever wanting to stop. Using its high-speed connectivity features like GPRS, Bluetooth, and WAP you can access the internet and other devices faster. The dedicated one touch FM key on the keypad and audio control key on side of the handset panel, gives quick launch and excellent control to applications just in one click. With its Li-ion 1500mAh powerful battery, you can enjoy listening to music and can make infinite calls for long hours without hearing any beep sound reminding you of low-battery. 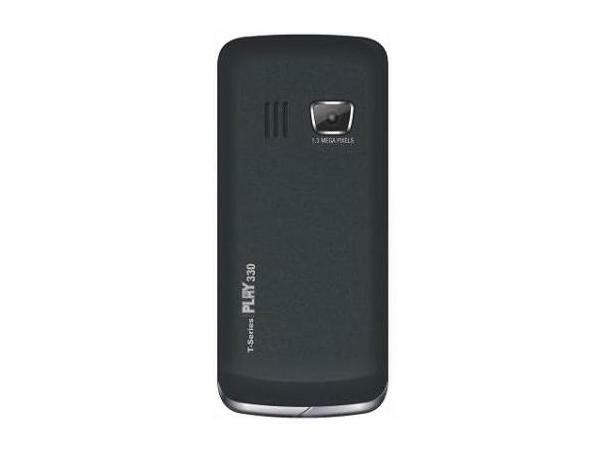 This battery provides incredible talk time up to 8-10 hours and standby time up to 250-300 hours. On the whole, T Series Play 330 is an affordable dual sim, multimedia phone which is also a perfect treat for music lovers.